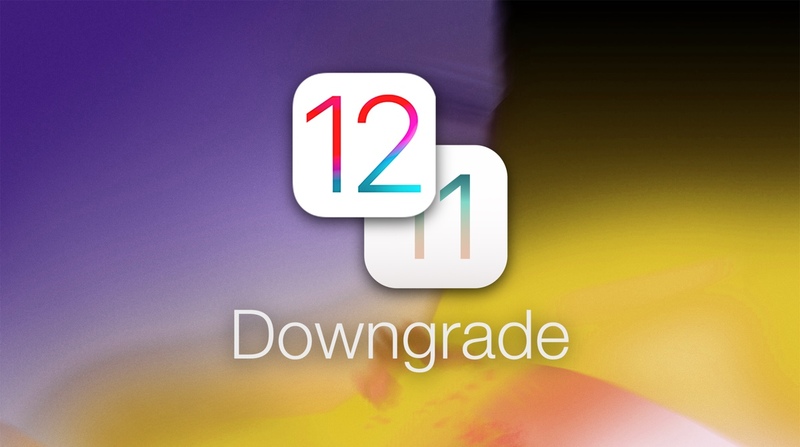 Here’s a complete step by step guide on how to downgrade iOS 12 GM back to iOS 11 (iOS 11.4.1) right away on your iPhone, iPad or iPod touch. We all know the routine: you downloaded iOS 12 GM out of sheer excitement and Apple’s latest creation didn’t turn out what you expected it to be. We hear you. A lot of users feel that way at this point. That’s why in today’s guide we’ll show you how you can downgrade iOS 12 GM back to iOS 11.4.1 in a few easy steps. But before you go ahead with the process, it’s best that everyone reads everything that is required to go through it all. A slight mistake will leave you with a device that might end up running iOS 11.4.1 but completely depleted of your settings, photos, videos and whatnot. Please, and I can’t stress enough on this, make sure that you have backed up all your data using iCloud or iTunes before you go ahead with the downgrade process. It’s important because a downgrade is essentially a clean install of the iOS 11.4.1 software here, which means that your device will be wiped clean down to its bones once you’re through with the process. If you have enough iCloud storage then I suggest taking a backup using that as well as iTunes. The latter because you want to be on the safe side of the fence in case something goes wrong with iCloud, although it won’t. Also make sure that you are using the original Lightning cable that came with your device to connect with your PC or Mac. If you don’t have that handy, then source a MFi-Certified cable instead, which is just as good. Download and install iTunes on your PC from this link: apple.com/itunes. If you have a Mac, then simply launch iTunes. Connect your iOS device to your PC or Mac using the Lightning cable. You’ll see your device listed on the top left hand corner of iTunes. It’s a tiny little icon that looks like an iPhone. Click on it. Assuming you have already downloaded the iOS 11.4.1 firmware file on your computer, click on the ‘Restore iPhone’ button while holding down the left Option key (Mac) or the left Shift key (Windows). Select the iOS 11.4.1 firmware file and let iTunes restore it onto your device. If you get an error message at this point that you should turn off Find My iPhone on your device, then please do so from Settings > iCloud > Find My iPhone and move the Find My iPhone button to the OFF position. You will be required to enter your Apple ID password. If you don’t have it then you cannot proceed forward. First of all, iTunes will extract the contents of the firmware, restore your device, verify everything with Apple and after a few minutes you’ll be greeted with the Hello screen on your device. Simply enter your Apple ID credentials, restore the backup you created and you’ll be up and running in no time.